Detailing the physical features, habits, territorial reach and other identifying qualities of the Zebra Jumper. 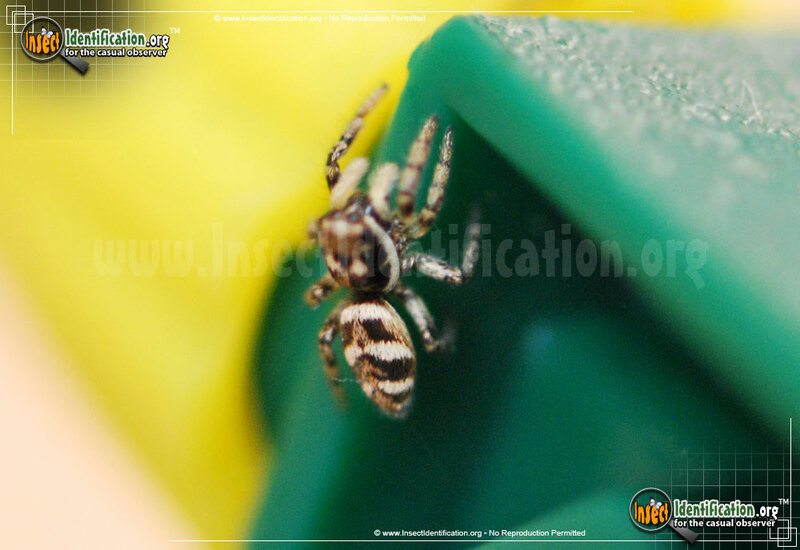 Bright stripes on a dark abdomen stand out on the Zebra Jumper, adding character to this charming little spider. 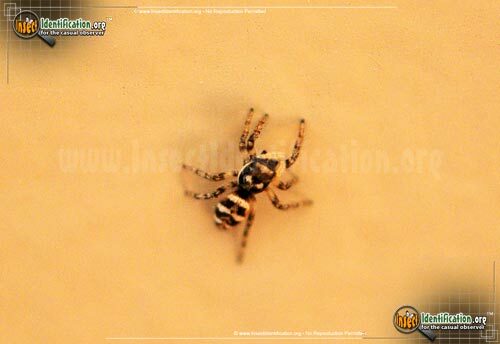 Like other Jumping Spiders, the Zebra Jumper is small, but hoppy. It can leap far distances, relative to its size, in order to pounce on prey or escape a predator. The dark brown color of the body provides good contrast to the creamy stripes on the sides of the abdomen. These stripes may almost connect in the middle. Two curvy, ivory spots mark the cephalothorax, almost touching at the midline to create a 'U' shape. Sandy brown pedipalps covered in hairs sit at the front of the face; they are not a 5th pair of legs. This European import has made a home in most of the continent. Its peak season for sightings are early summer when males and females are trying to mate and reproduce. Look for them outdoors or even inside. Thanks to its small size and stealthy nature, it is more likely to find you than the reverse.